Characteristics: The back is flat and smooth. You can sometimes see the outline of the letter from the front. The second picture shows the back. 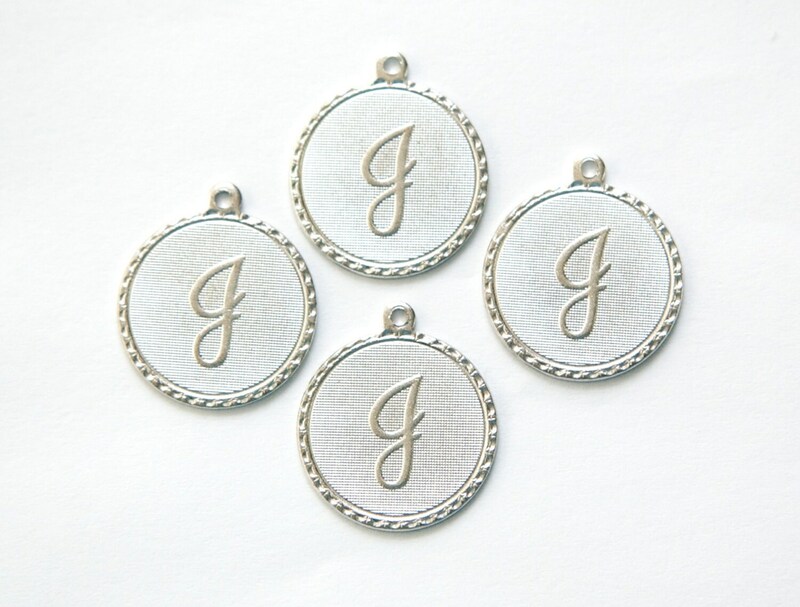 Material: Matte Silver plated Brass. 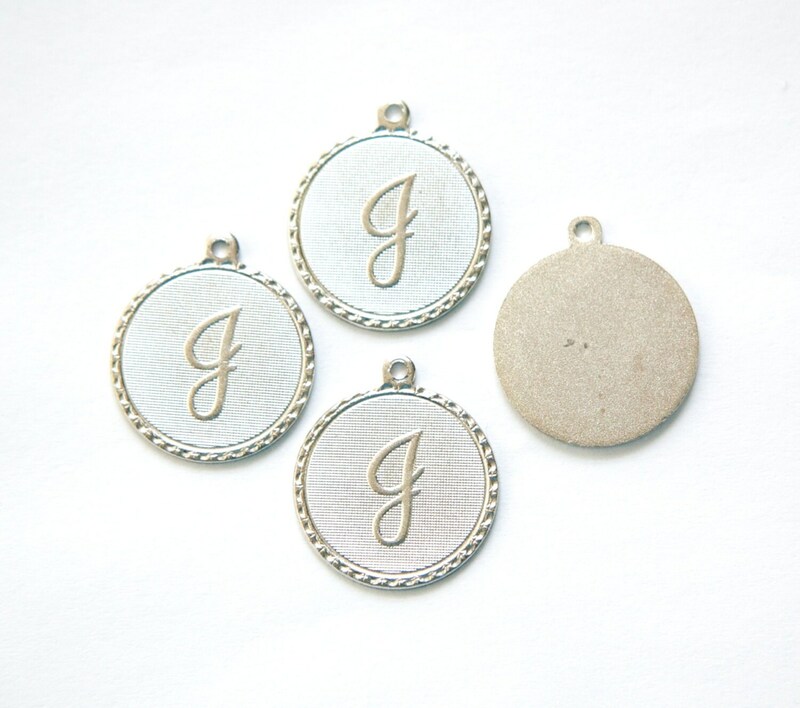 Additional Information: These are all a matte silver color. There might be areas of reflection/flash that look discolored in the pictures. They are not discolored in person. ~ Thanks so much !! Beautiful, received in a timely matter! Great quality and price. Very fast shipping!! !